Today, you can acquire Office 365 Small Business Premium or Midsize Business through Mysys Limited, as a standalone solution or bundled with one of our customer web applications, and no matter which you choose, you’ll still receive the same support and service you’ve come to expect from Mysys Limited. Most importantly, with Microsoft Office 365 you get an always available secure and reliable cloud service from a trusted partner. You have a one stop shop for all your support needs. 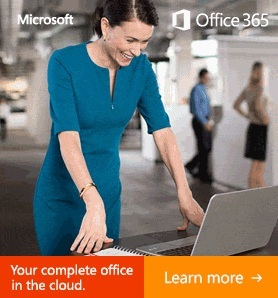 For more details on Office 365, check out www.office.com or email us at info@mysysltd.com.